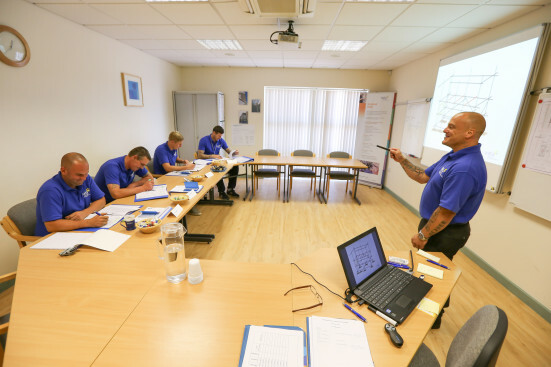 There has been quite a reaction on social media since it was announced that CPD courses for Scaffolders will be introduced from summer 2017. CISRS has now set up specific CPD page on it’s website in a response to some of misinformation being circulated around the sector. The aim of the webpage is to provide background information surrounding the introduction of the new scheme, why CISRS has concluded that CPD is necessary, proposed course content whilst also answering some of the questions that have been raised by concerned scaffolders and employers. The Industry has had a mixed response to the announcement however there are many across the wider industry who have welcomed the idea. Much of the initial opposition to the introduction of CPD appears to be cost and who will pay for the course, rather than the principle of CPD itself. CISRS are currently in discussions with CITB to see if any additional funding can be sourced to help offset the costs of the CPD programme. CPD for Scaffolders has not been driven by Training Providers and cannot be described as a “Knee Jerk” reaction. It is an agenda that has been pushed by wider industry for many years, particularly the HSE in the case of scaffolding. CISRS and ASITO have been convinced it is the right thing to do for our safety critical sector. CISRS understands that there will always be a reaction to changes within a sector, but is hoping to dispel some of the myths that have emerged in recent weeks. The web page will be updated regularly and a Frequently Asked Questions section is currently being put together. For a full a list of approved CISRS training providers, further details about CISRS card courses, OSTS news, training changes following the introduction of SG4:15 and TG20:13, information and dates on courses available or to find out more about CISRS, please visit www.cisrs.org.uk or email enquiries@cisrs.org.uk for more assistance. NASC members wishing to take the opportunity to advertise in the forthcoming NASC 2017 Yearbook – published again by Construction Manager publishers, Atom to an audience of 30,492 industry professionals, including all members of the Chartered Institute of Building (CIOB) directly – are being asked to do so at their earliest convenience. The NASC 2017 Yearbook will be launched at the NASC AGM on 25th November in Amsterdam and also within the November/December issue of Construction Manager – published in November 2016. Discounted standard position display advertising rates for 2017 remain unchanged. However, unlike in previous years, where ‘grandfather rights’ for key positions and unlimited advertising pages were allowed, the NASC 2017 Yearbook will sell premium positions on an auction basis. Member only advertisers are restricted to a total of two pages (or any permutation thereof) of advertising space within the NASC 2017 Yearbook. Bids should be lodged for the above premium positions with dave@atompublishing.co.uk directly. And the auction closes on 23rd August 2016, when members will be informed if their bid is successful and if so what position(s) they have been allocated. NASC MD Robin James said: “Following the success of the NASC 2016 Yearbook, we are again delighted to have Construction Manager magazine as our media partner for the 2017 edition. And we are pleased to maintain 2016 standard advertising rates and introduce a level playing field system for advertisers, with a prime position auction. “In an increasingly digital market, it’s amazing how popular the printed copy of the NASC Yearbook is. Its success is largely down to reaching a target audience of construction sector professionals and CIOB members, who are drawn from a wide range of professional disciplines within the construction supply chain, including principal contractors, house builders, surveyors, consultants, private developers as well as specialists from housing associations, health trusts and county, borough, metropolitan and city councils. “Access to this readership allows the confederation to penetrate a very specific audience which influences, directs and manages a high number of construction projects, as well as providing an opportunity to submit project reports in an attractively presented industry yearbook. NASC members wishing to book advertising space with Construction Manager and ensure their message is delivered to the largest print magazine construction audience in the UK should call Atom publishing on 020 7490 5595 and ask to speak with either David Smith or Tom Peardon. To view the 2016 NASC Yearbook or to obtain complimentary copies, download the latest SG4:15 ‘Preventing Falls in Scaffolding Operations’ Safety Guidance Management Guide, order copies of the SG4:15 You user guide, purchase a TG20:13 full suite and for information about the NASC – the UK scaffolding industry trade body – including how to become an NASC member, please visit www.nasc.org.uk or email: enquiries@nasc.org.uk directly. And for more details on CISRS training, including details on CPD courses and a list of current providers, please visit: www.cisrs.org.uk. (NB: Only NASC members can book advertisements in this exclusive yearbook & all prices quoted above are plus VAT @ 20%). 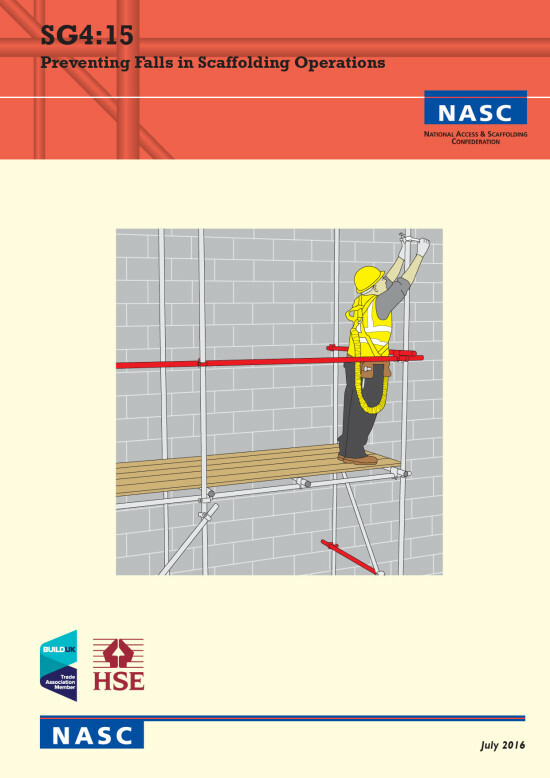 An amended version of the SG4:15 Preventing Falls in Scaffolding Operations management guide has been posted on the NASC website, incorporating a foreword from HSE. The document is available to download free of charge, and will shortly be available for purchase from the NASC in hard copy format. The July 2016 version supersedes the launch version previously posted in November 2015, and is unchanged except for incorporation of the HSE foreword, addition of the HSE logo to the front cover, and an amendment to the preface to reflect a change of NASC President since the document was launched. There are no changes to the guidance content. In the HSE foreword, Peter Baker, HSE Chief Inspector of Construction observes: “SG4 continues to represent the good industry practice established in previous editions”, and notes that the guidance clearly shows that with proper planning, preparation, provision and the use of correct equipment and systems of work, the risk of a fall can be eliminated or minimised. Mr Baker adds: “I hope that the wider industry rises to the challenge in embracing this revised guidance. HSE will not hesitate to take action against employers and scaffolding operatives who fail to comply with their legal obligations and place themselves and others at risk of injury when working at height. 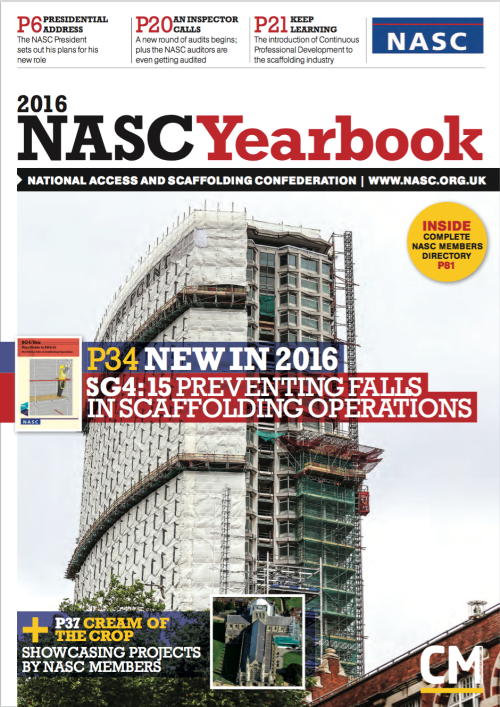 Re-titled ‘Preventing Falls in Scaffolding Operations’ for the update, SG4:15 was launched at the NASC 2015 AGM in Leeds. Numerous copies have been downloaded from the NASC website since launch. To download a free copy of the latest SG4:15 ‘Preventing Falls in Scaffolding Operations’ management guide, purchase a copy of the SG4:You user guide to SG4:15, or the TG20:13 full suite and for further information about the NASC – the UK scaffolding industry trade body – including how to become an NASC member, please visit www.nasc.org.uk or email: enquiries@nasc.org.uk directly. The popular, user-friendly Construction Industry Scaffolders Record Scheme (CISRS) CAP 609 General Information Booklet has been revised and reprinted – with a bold new cover design, incorporating the new CISRS logo. The 52-page A5 booklet is designed to provide a detailed overview of the CISRS scheme and includes the full range and scope of courses including CISRS Operative Training Scheme (COTS), Part 1, Part 2, Advanced, Supervisor and Scaffold Inspection Training Scheme (SITS). The CAP 609 booklet will be available from mid-July free of charge to industry professionals, by contacting CISRS via email enquiries@cisrs.org.uk. A PDF version will also be available to download via the CISRS website. The booklet will also be disseminated to industry players such as BuildUK, HSE, CSCS and unions, and will be distributed at UK-wide careers days and industry events. Additionally, all CISRS course delegates and training centres will be issued with copies. 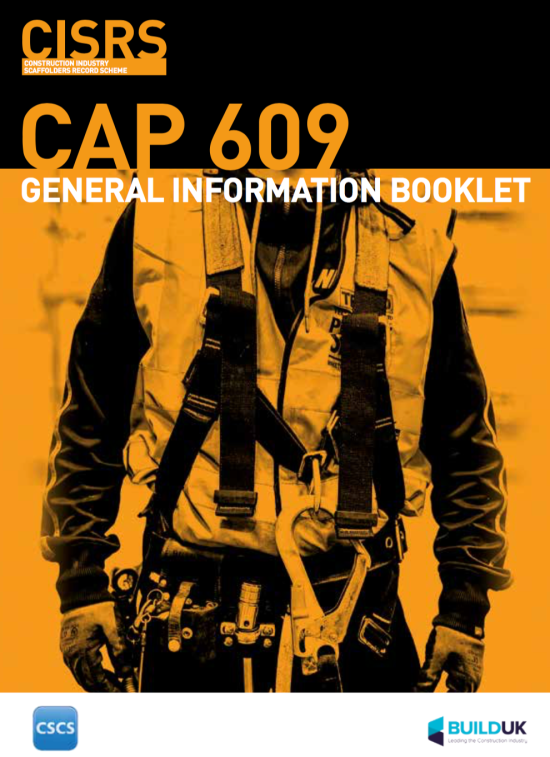 Included in for the revised version of CAP 609 are details on changes to scheme courses and the card renewal system with the introduction of Continuing Professional Development (CPD) – where from 1 June 2017 there is a mandatory requirement to complete a two day CPD course, prior to Scaffolder or Advanced Scaffolder card renewal. To obtain a copy of CAP 609 or to find out more about CISRS, please visit www.cisrs.org.uk or email enquiries@cisrs.org.uk. 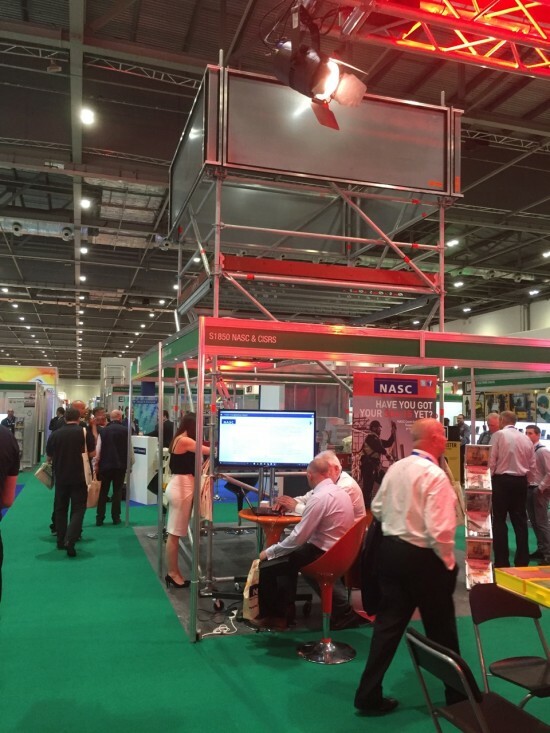 The NASC and CISRS have exhibited successfully at the UK’s largest and leading health and safety event – the Safety & Health Expo, held at the prestigious London ExCeL venue, June 21-23 – with their largest ever, 20m square stand, open on all sides, attracting hundreds of visitors over the packed three-day event. For the third year in a row for the UK’s leading scaffolding trade body and industry recognised training scheme, the NASC & CISRS stand – with its six metre tall Layher Allround system scaffold centrepiece – was stacked with enquiries on scaffolding regulation, NASC guidance and publications, CISRS CPD courses and inspection training, scaffolder training courses, the introduction of SG4:15, two years of TG20:13 and more from a wealth of industry sources, including construction, health and safety professionals, principal contractors and other attendees. Delegates visiting the stand received advice, TG20:13 tube & fitting good practice eGuide demonstrations on the 40-inch plasma screen (and portable Android device), discussed the Construction Industry Scaffolders Record Scheme (CISRS) forthcoming introduction of CPD training courses and received copies of the latest NASC Yearbook, Safety Report, CISRS CAP 609 general information booklet and inspected the latest NASC guidance, including SG4:15 ‘Preventing Falls in Scaffolding Operations’ and the NASC Scaffold Specification Template (free Guide To Appointing and Managing Scaffold Contractors). And NASC marketing staff were also busy distributing eco “goody bags” with pads, pens and other promotional material to stand visitors. 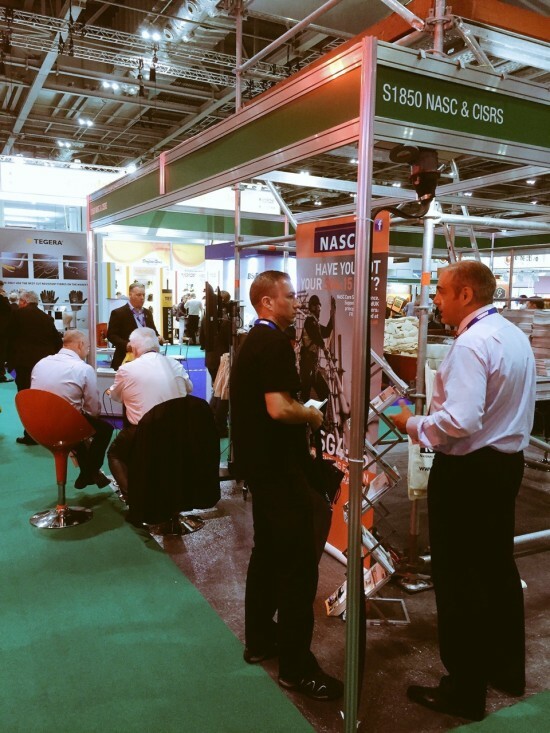 In addition to NASC’s Safety and Technical Officer, Ken Johnson and Marketing team members, Phil Royle and Francesca Coupland, Operations Director Ian Fyall and Managing Director, Simon Hughes, of leading scaffolding sector training providers, Simian Risk Management, were on hand during the event to offer their expertise to stand visitors, which was widely appreciated. The enormous S&H Expo event attracted 15,000+ delegates and over 350 exhibitors and also included famous keynote speeches at the linked IOSH conference from BBC Chief Reporter Kate Adie OBE, Olympic oarsman James Cracknell OBE and ‘Rules of Engagement’ author and ex-forces Colonel Tim Collin OBE. And there were more than 100 industry speakers addressing delegates in six theatres over the three days (adding up to 60+ hours of CPD accredited education). For details about the latest NASC Safety Guidance (SG) and Technical Guidance (TG) notes, SG4:15 free download, Scaffold Specification Template, the TG20:13 full suite and about the NASC – the UK scaffolding industry trade body, including becoming an NASC member, please visit www.nasc.org.uk or email: enquiries@nasc.org.uk. And for a full a list of approved training providers, further details about CISRS courses, training changes in relation to CPD and following the introduction of SG4:15 and TG20:13, information and dates on courses available, or to find out more about CISRS, please visit www.cisrs.org.uk or email enquiries@cisrs.org.uk.